It is officially winter here. We had an ice storm on Monday that got me a two hour delay at work and a snow storm (that, of course, they thought was going to be much worse) that got me a snow day on Tuesday. I'm all decorated for Christmas and I can't wait for the holiday to get here! I've been making ornaments to pass the time. 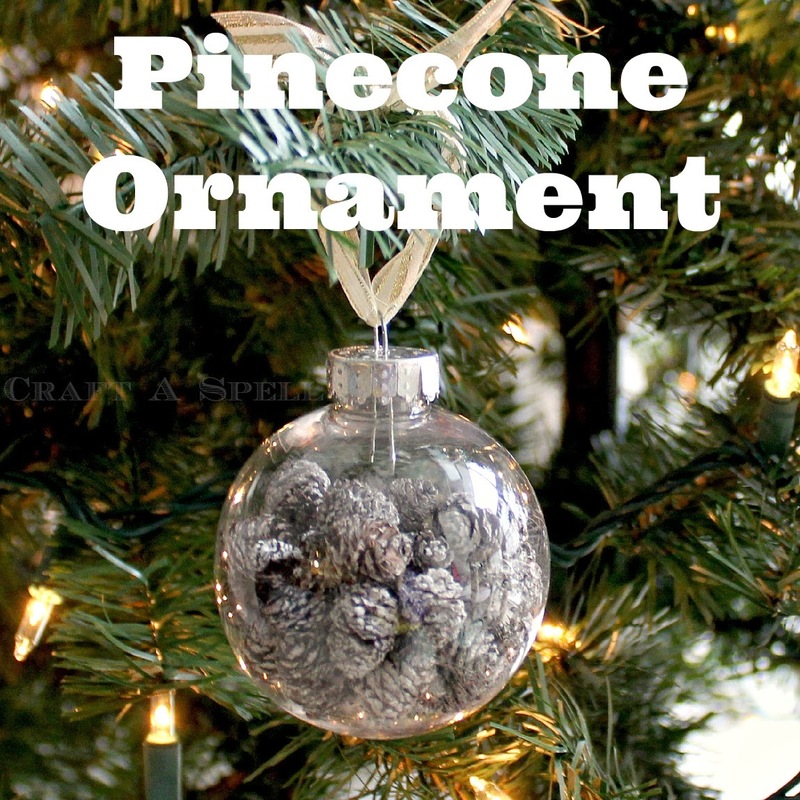 For the pine cone ornament, I used those little white pine cones and red berries that come on a stick. 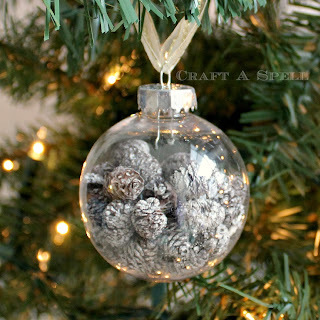 I cut the pine cones off so they were individual with wire cutters. 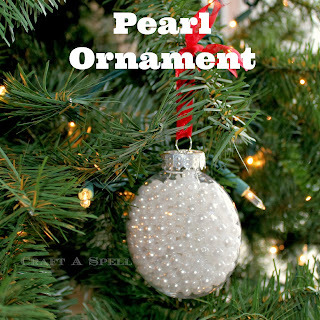 Then I just dropped them in the ornament and tied a piece of ribbon to the top! 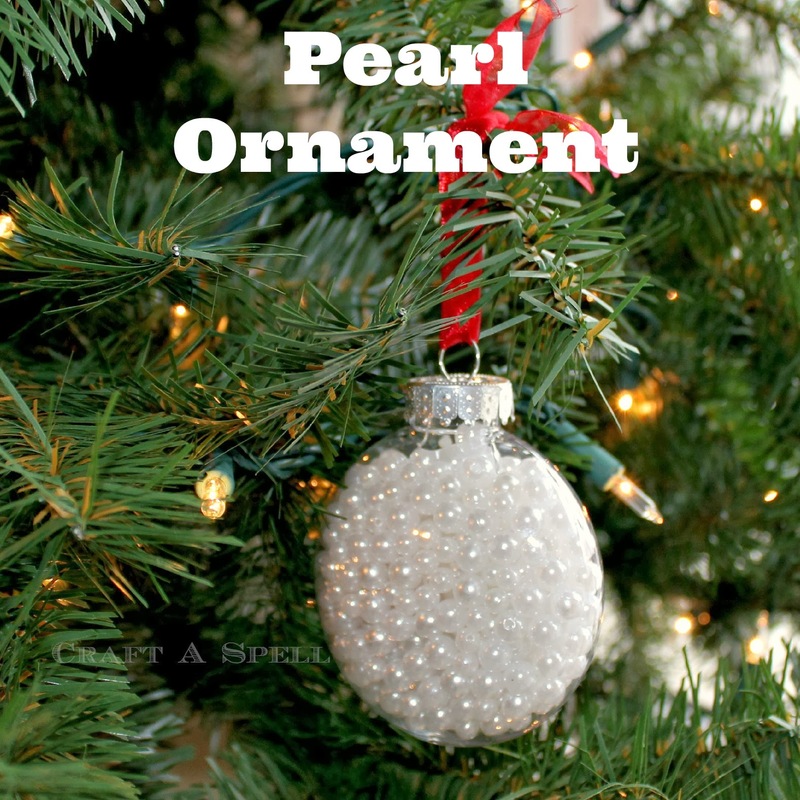 The pearl ornament was exactly the same. I had a bunch of little plastic pearls left over from my LOVE sign from Valentine's Day last year. 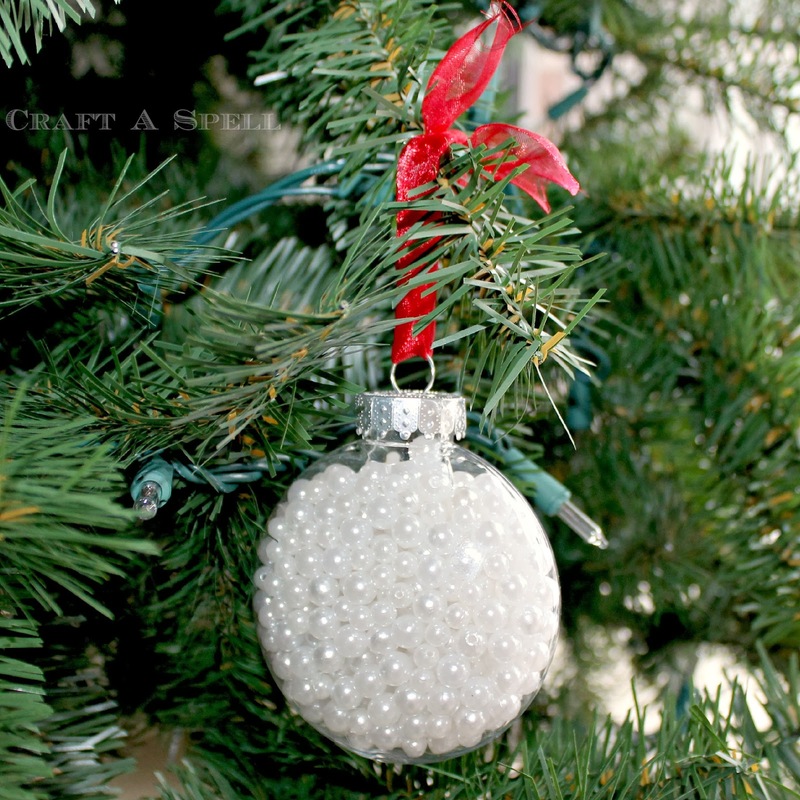 I just dropped them inside the ornament and tied a red ribbon onto the end for color. Done! Easy, cute decor that took less than a minute to make (not including the five minutes to cut the pine cones from the wire bunch). Less than two weeks until Christmas. Are you ready? Very cute! 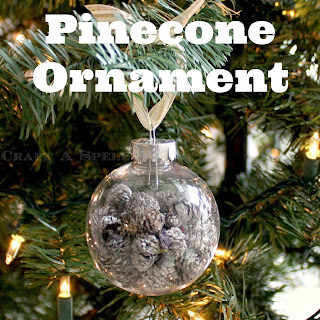 I love the pinecone one! These are so charming and would be perfect to do with the kiddos. I'm definitely looking for clear glass balls this week. Thanks for sharing at Inspire Us Thursday on Organized 31.